This case study demonstrates the expertise of our Clinical Negligence team who recently settled a claim for £1 million for a claimant after his GP misdiagnosed a cancerous mole for a wart, leading to a delay in diagnosis. In August 2004, the claimant, a married father of two young children, became concerned about the appearance of a mole on his left upper arm. The mole had changed in appearance. He visited his GP who advised that it was a wart, drew out a scalpel and removed it. The GP did not send the mole for histological investigation. Within a few weeks the mole started to grow again. This time, it grew away from the skin and was different in appearance to how it had been before. By January 2005, it had not settled down and the claimant returned to see his GP. On this occasion, the GP went to the cupboard, got out a book, and showed him pictures of malignant melanoma, insisting that the lesion on his arm did not look like any of the pictures in the book. He was insistent it was a wart. He gave a local anaesthetic and then proceeded to remove it. Again, the GP did not send the removed tissue for histological investigation. This time the wound took around a month to heal and left a large and angry looking scar. However reassured by his GP, the claimant assumed he would simply have to put up with it. uring the first three months of 2006, the claimant felt unwell, as though he had a cold and he was lacking in energy. He put this down to stress. In March 2006, he found a lump in his armpit. He saw a different GP who examined the left axilla and referred him to the Lister Hospital, for an ultrasound scan and fine needle aspiration. The scan revealed a large dark mass the size of a small egg. The aspiration confirmed a tumour. He underwent excision of malignant melanoma from his left upper arm, and the lymph nodes from the left axilla at St Mary's Hospital in Paddington. Of the 28 nodes removed, five were cancerous. He was informed by those treating him, that he was at very high risk of recurrence. Since the diagnosis of cancer with very poor prognosis, the claimant made radical changes to his life and his career. He had previously been Joint Managing Director of a design agency that he had founded and run for more than ten years. After the diagnosis, he decided to sell his shares to the company. Initially he worked as a consultant, but since the diagnosis, found it difficult to provide the level of commitment required. He therefore decided to retrain as a life coach. The GP's failure to send the removed tissue for histology was a breach of duty of care. If the removed tissue had been sent for histological examination in August 2004, his chance of a cure would have been greater than 80%. Because of the delay in diagnosis until March 2006, the risk of recurrence was approximately 80%, reducing his chance of a cure to around 20%. The claim settled for the sum of £1 million to include an amount for the claimant's pain and suffering. At the date of settlement, the claimant's cancer had not returned and therefore his chance of cancer returning reduced to 25%. The settlement figure also included damages for past and future loss of earnings and expenses. 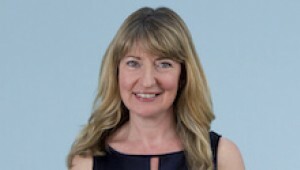 Fiona Mills specialises in cancer cases. If you would like to ask Fiona a question about a potential case involving misdiagnosis or delays in diagnosis of cancer or you have a general query about medical negligence contact Fiona on 01892 701286 in confidence.